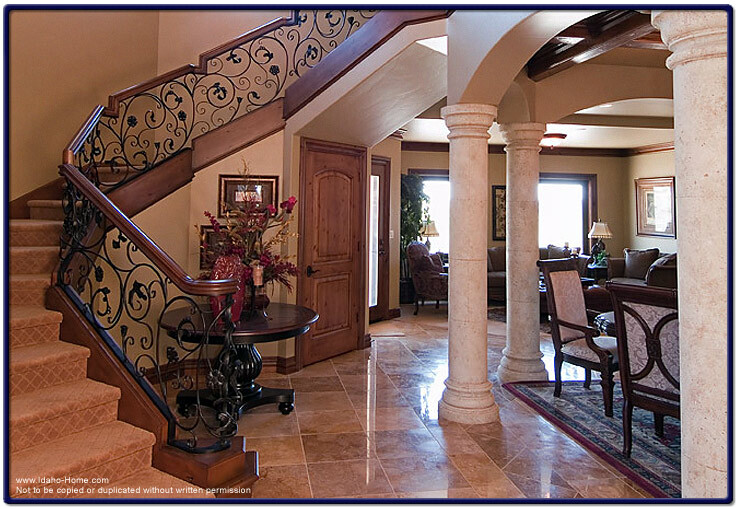 The picture below is a circular stairway, comprised of wrought iron with decorative ivory pillars as an enhancement. The Spanish influence in the design of this particular luxury home was further enhanced by shiny Travertine floors and the arches that surround the dining room. This home was built by One World Builders with offices in Boise and Twin Falls.